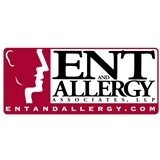 ENT and Allergy Associates, LLP (New York) - Book Appointment Online! ENT and Allergy Associates (ENTA) is the largest ENT doctor, allergy and audiology practice in the tri-state area, with more than 30 offices in Westchester, Putnam, Orange, Dutchess, Rockland, and Nassau counties in New York, New York City (NYC-Manhattan) and Bergen, Hudson, Middlesex, Morris, Passaic and Somerset counties in New Jersey. We offer the convenience of a large group practice, with multiple office sites, evening and weekend hours and prompt appointment scheduling. Our practice features state-of-the-art care for ear, nose, throat and allergy disorders, and offers a variety of highly specialized procedures that utilize the latest medical technology. Very professional and pleasant. I was in and out with tests done within 40 minutes. I’m pleased with this provider and his staff. Dr Fishman Was amazing ... He knew what was wrong right away after he examine my throat and knew the exact plan of action to get me better. I would definitely recommend seeing him if you need an ent doctor . He also has Saturday hours which was a huge help for me today . This office is very efficient and uses all the latest technology to streamline the experience for patients. They will call you if they get a cancellation, so it's relatively easy to get a 'same day' appointment. Dr. Azer is pleasant and kind. The appt was fine - quicker than I expected. She wasn’t warm and fuzzy which is fine I guess, she addressed my needs and prescribed meds. Dr Bough is clinically excellent, professional, and has great bedside manner.